Startups look at the way they measure performance by tracking metrics with an actionable outcome. So too must SEOs. One of the issues that we constantly hear when talking to other SEOs, Inbound Marketing professionals, and marketing managers is how to make reporting actionable. What is actionable though? Seriously, what does it actually mean? Think for a moment about typical SEO reporting. They might be performance reports that look at change over time (week over week, month over month, etc.) for either rankings (ugh), traffic (bleh) or some combination. The problem with reporting on these metrics alone is that they can often times paint a different picture than what is actually happening. And presented alone they aren’t terribly actionable. OK I’m being polite – they aren’t actionable at all. So organic search traffic went up this month. OK, why? Well, the dev guys are going to say that they added rel-canonical to a bunch of duplicate pages so that’s why traffic went up. The link builders are going to point to their link placements and take credit. The PR team will say the press they got for the brand was responsible for the lift. You can see where this is headed. Without first understanding what it is we’re testing, how can we know what metrics tell us if our test passed or failed? Eric Ries talks about actionable metrics vs. vanity metrics a lot in his book the Lean Startup and I highly recommend you read it. The Lean SEO takes a page from the Lean Startup world and understands that everything you track must have a purpose that leads to an outcome. A hypothesis that is then tested for validation. We remember what hypothesis means right? The reason this is important is that it lets startups, or organizations, or even teams quickly move through what Eric Ries calls the “feedback loop”. With this in mind I think it’s appropriate to examine how startups view actionable metrics. Enter Startup Metrics for Pirates. 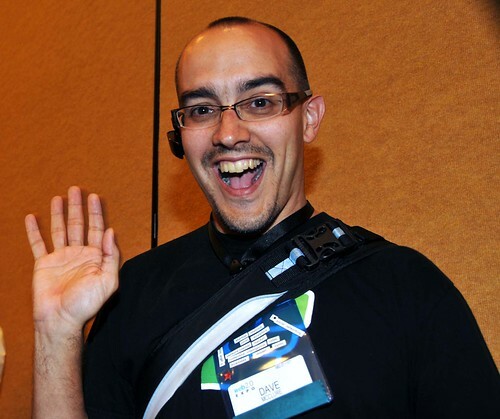 Dave McClure, notable VC and head of the accelerator 500 Startups, came up with the term AARRR when it comes to reporting. As a startup attempts to go from infancy to viral growth and wide adoption, they need to know what to measure to ensure that assumptions are validated along the way and that there is true product/market fit before turning the engine of growth. How does he suggest they measure? AARRRR. These categories are also essentially lifecycles of a user that tie into the overall conversion funnel. The goal of this exercise is to measure the performance of each stage and to continuously increase the number of users who move from one stage to the next. The way to increase those numbers would then start out with a hypothesis, followed by a controlled test, waiting for a decent sample size to see if the hypothesis was validated (did users perform the action we expected) and then apply globally, or continue testing new variants against each successive winner. You might be thinking “great, but how does this apply to me?”. Good question. With this process in mind, let’s examine a few ways an SEO in different industries might want to have their dashboard reporting set up. E-commerce is all about sales. But what if you were asked what the benefit would be to adding reviews to your product pages? Where would you start? A good place to start would be to state the assumption: adding reviews will help drive long-tail keyword traffic to product pages and assist with conversion rates as users feel more educated before making the purchase decision. So we’re looking at Acquisition and Revenue. Instead of going out and implementing a reviews system sitewide and working on getting reviews for every single product, you would do it in one vertical on your site. Once you have the segment down go to Content > Landing Pages and look for the product pages you made changes to. Export to csv and compare long-tail keyword performance prior to implementing and after. To see how this might have affected conversion data just switch from Site Usage to E-Commerce in the same report. Imagine reporting on something like this as opposed to rankings and traffic, when so many variables realistically could have affected movement of either of those things. A lead gen site is interested in turning visitors into leads. But some lead gen sites might also lets users “pay with a tweet” instead of filling out a form in order to access content. And let’s say your boss asked you to recommend whether resources should be committed to creating a great piece of content that will be accessible only through a lead form or pay-with-a-tweet. How do we know if it will work? It’s not just the resources to create the content, you’re also talking about getting the page to rank well, promoting it, getting links and shares. Thy hypothesis is, for users performing these search queries with these keywords, when they land on this page they will be so intrigued by the amazing content that they will trade a tweet or filling out a form in order to get access to the content. We’re testing Acquisition, Activation, Referral, and Revenue. Acquisition: To test you would take a step back from SEO and run Ads to a landing page. In this case you’re looking at the CTR of the ads for the keywords you’ve identified in your hypothesis will be the phrases that users will search to find this page. Activation: If the page has teaser content and reviews of how awesome it is, and some other items that would take time to digest, set a threshold for what is the acceptable time on site and bounce rate to classify the experience as a “happy one”. Referral: Easy. Do people in the test share the page at all? Do they opt to pay-with-a-tweet vs filling out the lead form? Revenue: Do enough people fill out the lead form as expected. Once you’ve gotten to statistical significance you can bring your findings to the boss and have actionable data and insights as to whether or not the investment in the project is worth the cost. Starting to see a pattern now for better reporting? Let’s try another one. You work for or own a local business and your budget for marketing is tight, so all decisions have to really maximize potential. Ideally we want people in the local area to find out about us when they search for our offering in their neighborhood, check out our site, be compelled to come back to the site a couple times, use some of our coupons and engage with us on our social media channels, and ultimately become a paying customer. The assumption: if users found our site when performing a local search, they’d instantly realize what a cool local business we are, they’d share it to their friends if we gave them a reason to, and they’d try us out. Acquisition: Set up our Google Places page, make sure it ties to the site and that in general all of the accepted Local SEO best practices are in place. Great. Are we seeing any traffic? Is the traffic local? Two areas to look. First, Traffic Sources > Search > Organic > Keywords. Do the keywords have city and town names in the search queries? (i.e. seattle coffee shops, where is the best tea in brooklyn ny, etc.). Has this increased piror to any Local SEO efforts made to the site. The other area would be to look at Audience > Demographic > Location, make sure to change the primary dimension to City and the Segment to Non-Paid Search. Are the visitors coming from locations you serve? Activation: Do these visitors coming to your site have a good experience? Again, let’s set a threshold of average time on site and pages/visit or bounce rate as the usage signals to measure against. During the reporting period did beat the expectation or perform worse. Referral: Do visitors share any coupons that you list on your site? The way to measure this would be through Event tracking on the social share buttons and/or looking at social share counts for pages with coupons listed on them. Revenue: How do you tie in store purchases to organic search traffic from local keywords? Monitor purchases made with coupons which were only shown to, or have an identifier on them to indicate, a visitor to the site from the local search campaign. Tie it back to revenue. Compare the cost per acquisition to some of your other marketing channels, like print ads or radio placements. On a final note, I do want to address one category which I left out from the SEO Metrics section and that’s Retention. The intention was not to downplay retention at all; it’s actually incredibly important to track. Unfortunately for sites that depend on knowing which visitors turned into subscribers or on-going customers with a recurring billing structure, and monitoring their behavior, Google Analytics is not ideal. In those instance you’re much better off with something like a Mixpanel or KISSMetrics for tracking the full lifecycle of a user. For other sites that look at retention through the eyes of pageviews or visits, then simply adding the default segment for returning visitors would do the trick. Hope this helps and I look forward to hearing how you do reporting that might be more actionable than the status quo.